Our mission is to provide you with affordable relief from physical and mental stress, while providing you with a relaxation experience like no other. Experience ultimate relaxation and rejuvinate your body and mind in our state of the art float pod. 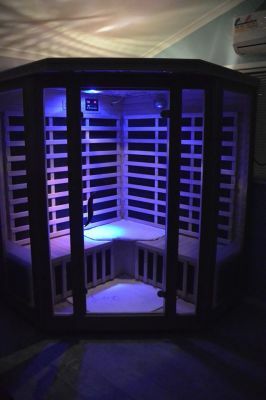 Detox your body and boost your immune system in our infrared sauna. Relieve tense and tired muscles and experience deep relaxation.